Celebrate the ultimate kick off to spring on Nantucket Island! From early April to mid-May, over three million daffodils of every color, shape and size bloom on Nantucket. This blossoming is the focal point of the Annual Daffodil Festival, a weekend that has for many years represented a celebration of spring as the island stretches its arms, takes a deep breath, and awakens from its winter nap. Our elegant inn provides guests with luxury accommodations and the ideal location for easy access to all of the weekend festivities. It’s a beautiful time of year to experience Nantucket and this popular festival is a fantastic reason to book your spring getaway with us! Nantucket is truly an all-seasons getaway destination, with summer perhaps taking the lead as the most popular time. The spring, however, holds a special place for many as it is a time where the beauty of the island really starts coming alive and the flurry of summer has yet to arrive. The Daffodil Festival, which will take place from April 26-28, 2019, brings visitors from all over to the island to experience the splendor of the island and some really fun activities! “Spring in a Glass” Wine Tasting – 5-7 PM at BRIX Wine Shop. Antique Car Parade & Tailgate Picnic – 9:30 AM – 3:00 PM. View a stunning display of over 100 vintage cars lined up on Main Street. Then, enjoy a picnic on the lawns heading into the village of Siasconset. Daffodil Festival Hat Pageant – 10:45 AM. Show off your creativity with a festively decorated, Daffodil-themed hat and join the pageant. 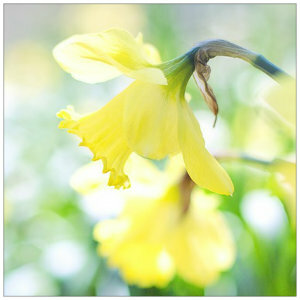 Daffodil Regional Show – 2-5 PM. Enjoy the many varieties of daffodils on display as well as creative floral arrangements and photographs at this daffodil show! Daffodil Wine Dinner with Chef Greg and Camille Broderick – 7-10 PM. Exclusive multi-course meal and wine pairing at the Nantucket Culinary Center. Fabulous Mansions of the Cliff & Brant Point Exercise Walk – 8:30-9:25 AM. This is a 2.5-mile walk with historic commentary that will take you around some of most spectacular summer homes and views of Nantucket Sound. Book direct with our inn today for this very special weekend. If we can help you plan a tailored spring getaway to Nantucket, please give us a call!